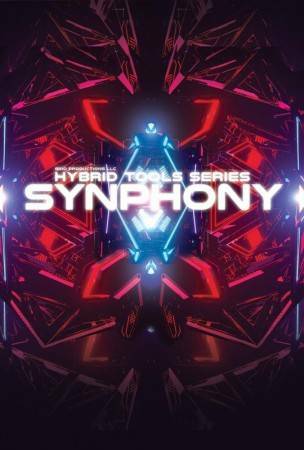 Hybrid Tools Synphony also contains a full synth-rendered symphony orchestra (strings, brass, winds, percussion) – all redesigned with analog synths. The idea is to have a synthetic orchestra that can work together with your normal orchestra. Synphony also contains a hundreds of cinematic Bass Synths, Cinematic Lead Synths, Sequenced Synths, Tonal Noises and over 50 different presets. Hybrid Tools Synphony contains a variety of exclusive features that you won’t find anywhere else, including our new Chaos FX 3.3 Engine, which contains over 100.000 lines of code and includes our CHAOS engine with the ability to randomize, reverse, mix/blend anything you want and manipulated over 1.500 parameters with a single click. 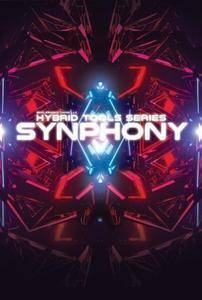 Hybrid Tools Synphony is the new breed of cinematic scoring tools. The library contains over 24GB (compressed to 11GB) of new Hybrid Content. Whether you want the newest industry defining Hybrid Effects (ex. Tonal Boomers, Downers, Mega-Horns, Sub-Strikes etc) or a full Synphony Orchestra built with analog synths, whether you want 100’s of multi-sampled synths, hard-kicking cinematic drum-kits or inspirational presets – you can have it all.